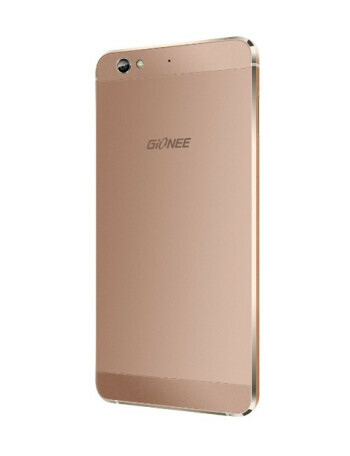 The Gionee S6 is a slim (6.99mm) phone made almost entirely out of aluminum (89% of it, apparently), weighing 147 grams, and packing a 5.5-inch, 720p AMOLED display. 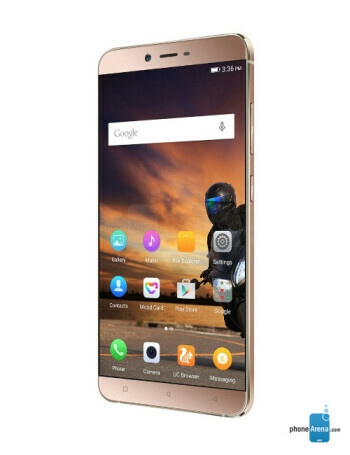 Underneath, Gionee has planted one of MediaTek's 64-bit, octa-core MT6753 processors, clocked at 1.3GHz and coupled with an ARM Mali-T720 GPU. In terms of memory, we're looking at 3 gigs of RAM and 32GB of internal storage, expandable through the secondary, hybrid SIM card slot which also accepts microSD. As for imaging, Gionee is using a main, 13-megapixel sensor with very wide, f/2.0 lens and very quick phase detection auto focus, while a 5-megapixel selfie snapper sits up front.